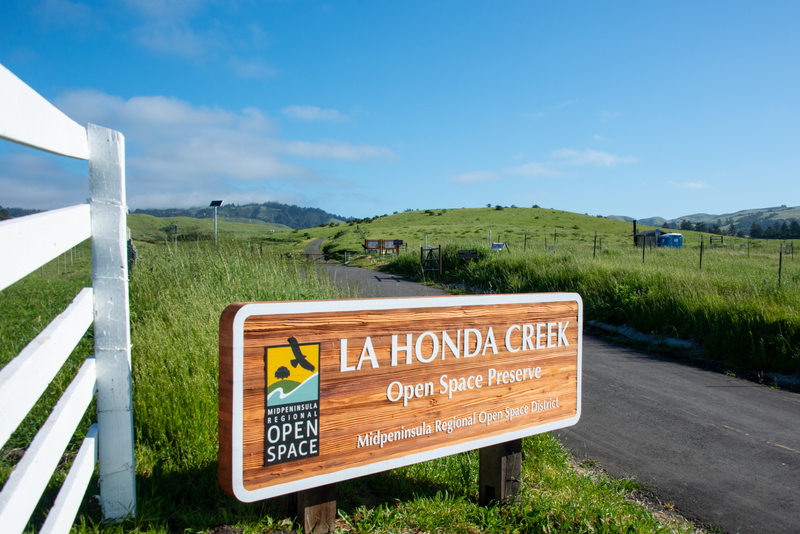 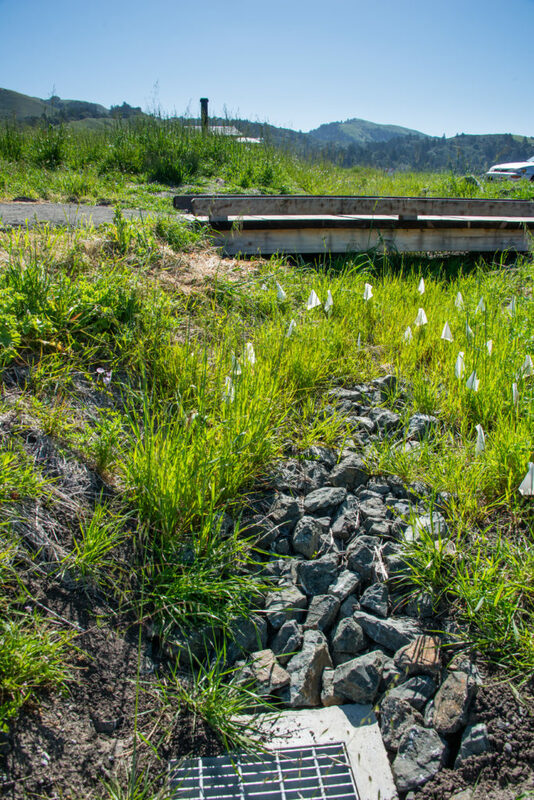 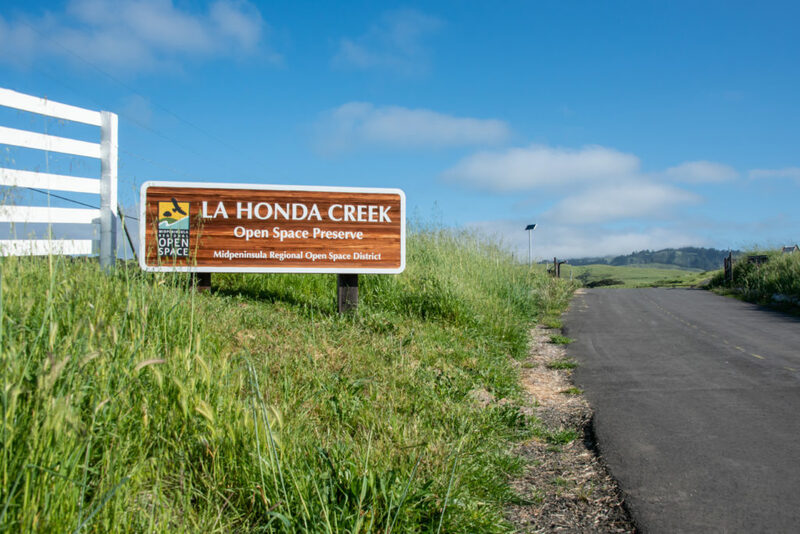 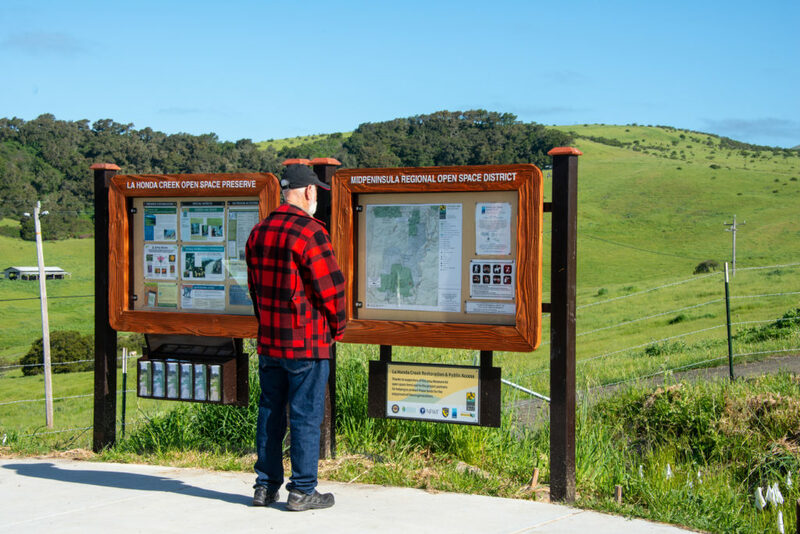 PGAdesign designed and led a team of consultants for a new trailhead that hailed the opening of MROSD’s new 6100-acre La Honda Creek Preserve to the public. 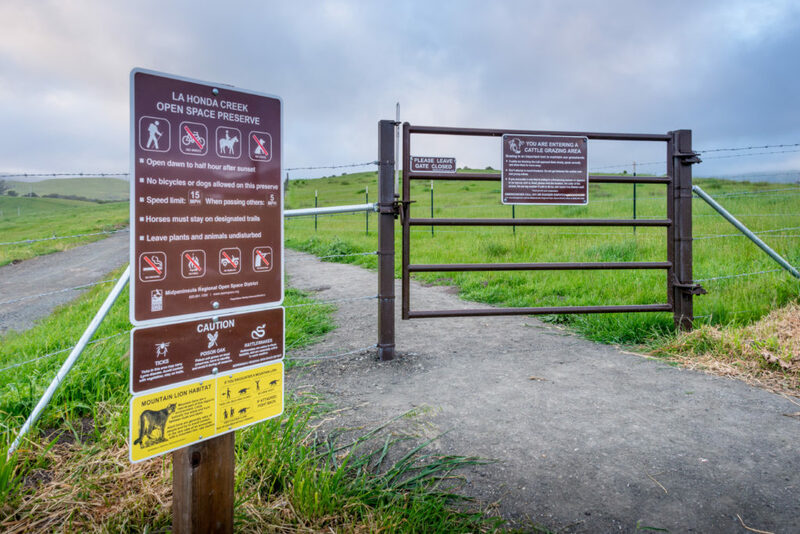 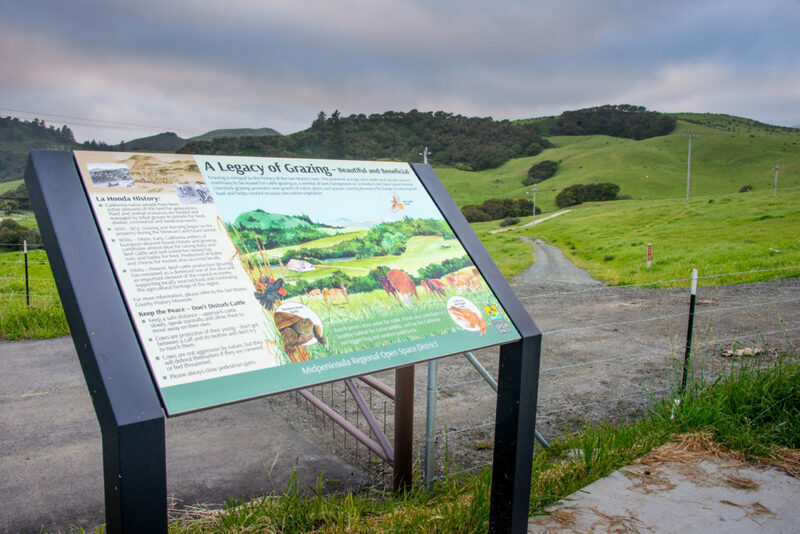 Considered by many to be the gateway to the San Mateo coast, the new trailhead and parking provide access to trails through managed cattle pasture lands and forests with views to the coast and ridge-lines. 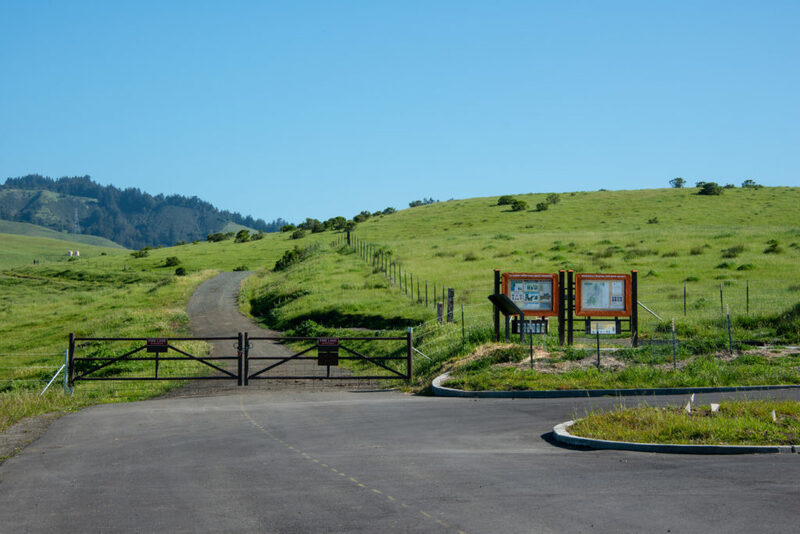 Artfully nestled into the contours of the site, the parking area and trailhead is visible only as you arrive. 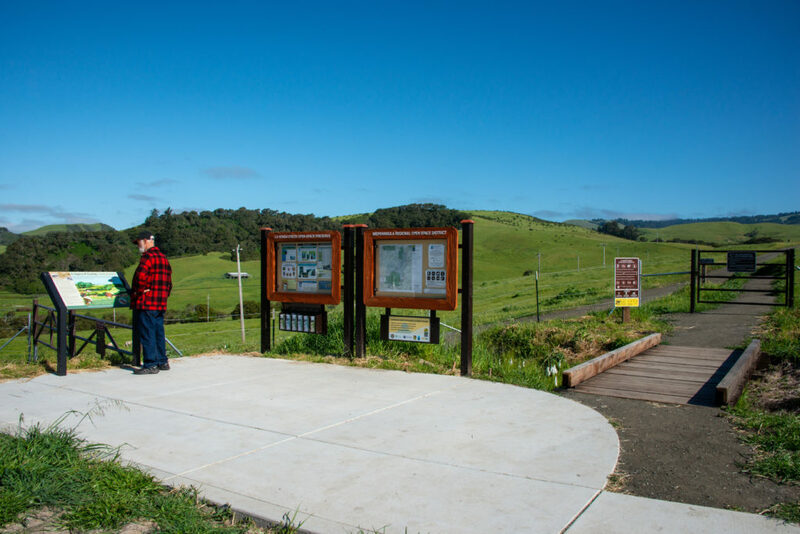 The trailhead features preserve signage, a parking area with integrated storm-water management, a vault toilet, and an improved approach road. 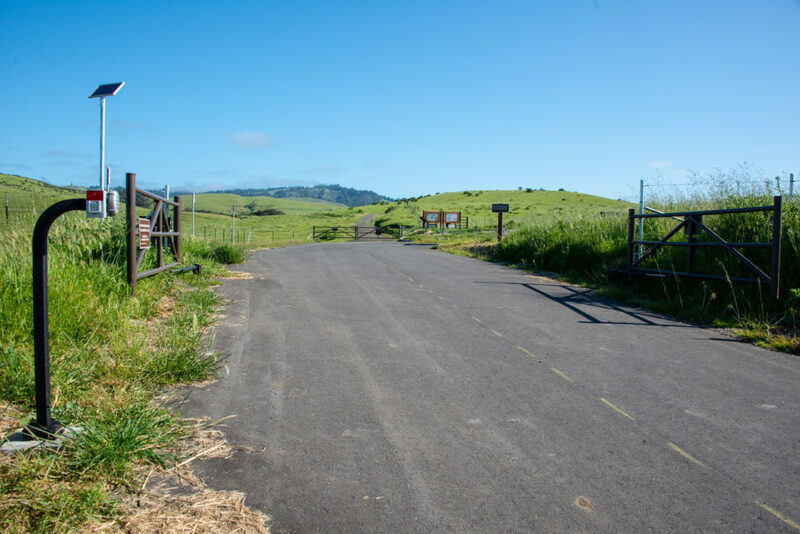 Mature coast live oaks were protected during work on the road improvements; close coordination with the County Fire Marshall ensured seamlessly-provided safe access to the entire preserve.